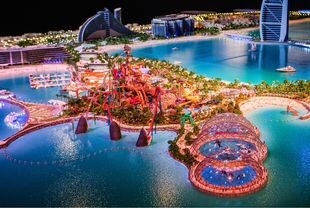 Due to take up the newly created role in June, Schulman will be responsible for all aspects of the brand globally and will report to Coach chief executive Victor Luis. The new leadership structure follows Coach’s acquisition of Stuart Weitzman in 2015. Schulman will be joining Coach from Neiman Marcus Group where he is president of Bergdorf Goodman and NMG International. He joined Neiman Marcus Group in 2012 and assumed additional responsibility for NMG International with the acquisition of MyTheresa.com in 2014. Prior to that, Schulman was chief executive of Jimmy Choo and also held senior executive roles at Gap, Yves Saint Laurent and Gucci. The company has also announced that Andre Cohen, currently president, of North America and global marketing for the Coach brand, will be leaving the company at the end of June to return to Asia with his family. Having worked with Coach since 2008, Cohen was instrumental in Coach’s development in Asia and has been spearheading the execution of the brand’s transformation strategy in the North American market over the last two years. 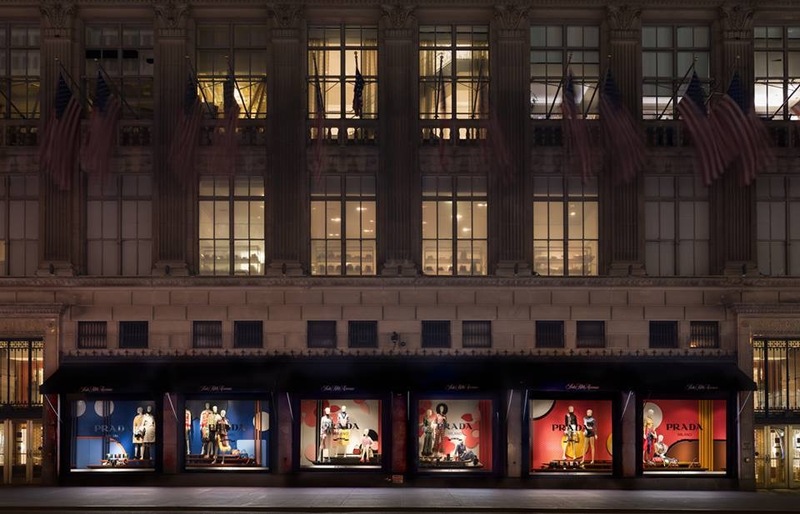 To celebrate the recent opening of the new Prada women’s ready-to-wear boutique in Saks Fifth Avenue, the prestigious department store has dedicated the six store windows on Fifth Avenue to the Prada Spring/Summer 2017 collection. The unique setting features a sequence of three different scenarios, using rubberized elements in alternating color shades with soft forms that suggest a natural, abstract landscape. 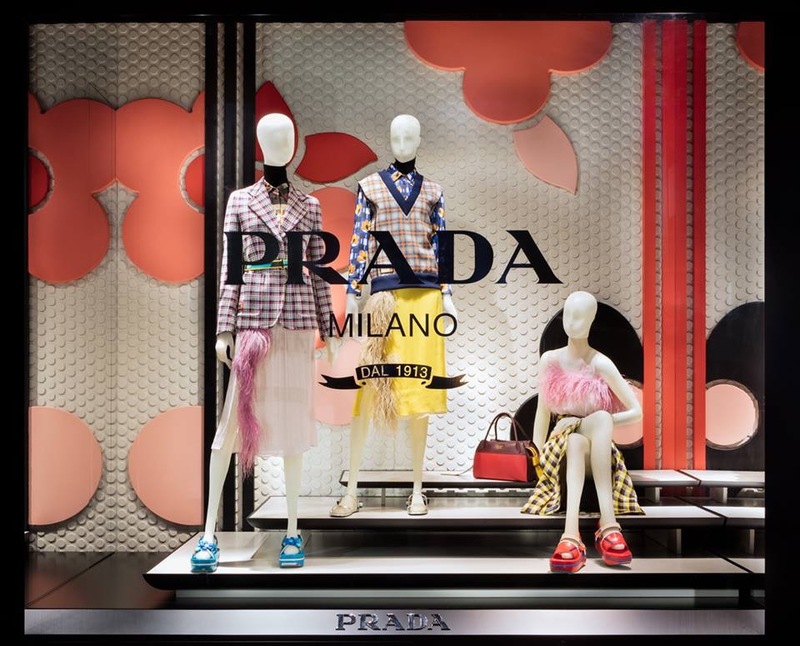 At approximately 100 square metres, located on the third floor of the store, the new store reflects Prada’s aesthetic principles and strong brand identity. The Prada Spring/Summer 2017 collections are displayed on different levels in front of the dynamic background for a relaxed, comfortable and dreamy atmosphere. New York fashion house Coach has chosen the Bullring to open its first standalone store in Birmingham. 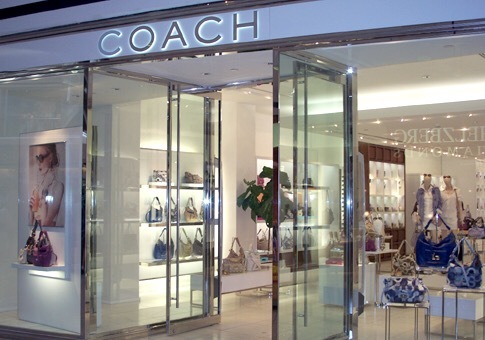 This store will be the second outside of London for Coach, with the first opening its doors at Victoria Quarter, part of Victoria Gate in Leeds. 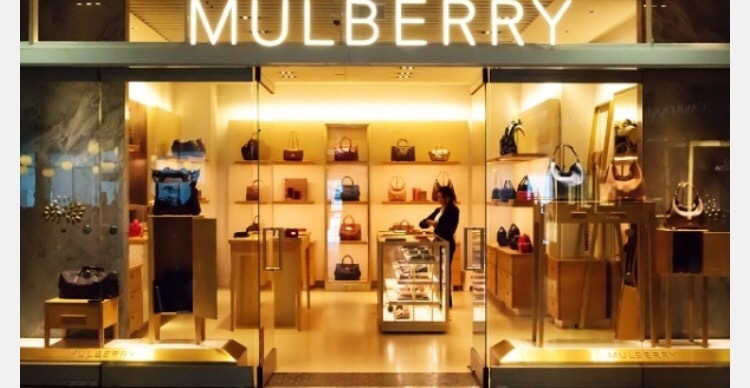 The 280 sq m space will be located on the upper east level of the mall and will offer the retailer’s full range of bags, footwear, outerwear and accessories. ‘This latest signing reflects the strength of Bullring’s leading retail mix, attracting high-end, aspirational brands to the city. 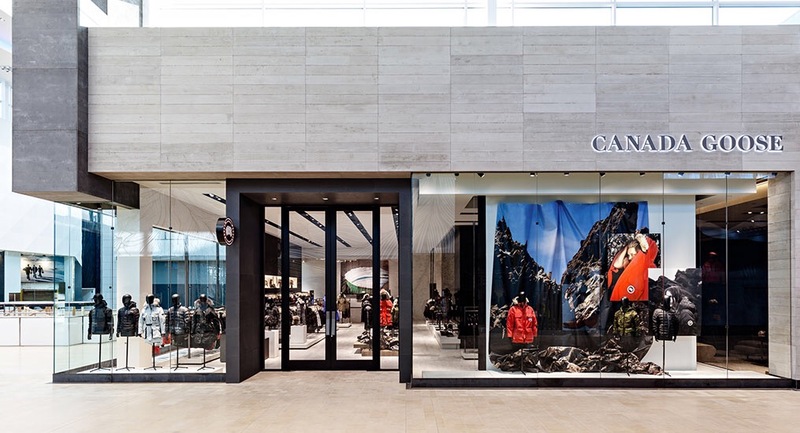 We’re delighted to welcome Coach’s first standalone store in the city, which significantly strengthens the already dynamic retail line-up at the centre,’ says Iain Mitchell, UK commercial director at Hammerson. Italian womenswear brand Stefanel is looking to open up to 15 franchise stores across the UK and Ireland. Love Brands, the brand’s distributor in the UK and Ireland, has teamed up with franchise consultant Peter Danby to recruit potential franchisees. 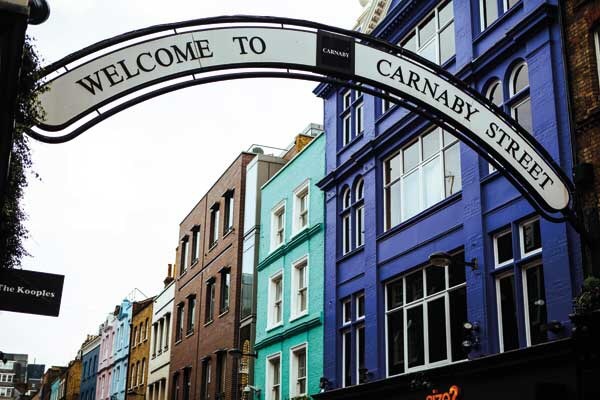 They will work alongside John Lane from London-based retail property advisors Tienda to select locations. The brand is looking at market towns including Canterbury, Windsor, Tunbridge Wells, Cambridge, York, Harrogate, Dublin and Bath. In the UK, the brand has eight House of Fraser concessions and stores on Regent Street and Covent Garden in London. It launched wholesale in the UK for spring 17 and has secured 25 doors. Wholesale launched in Ireland for autumn 17 with agent Nuala Henshaw. Stefanel has 400 retail and franchise stores worldwide. 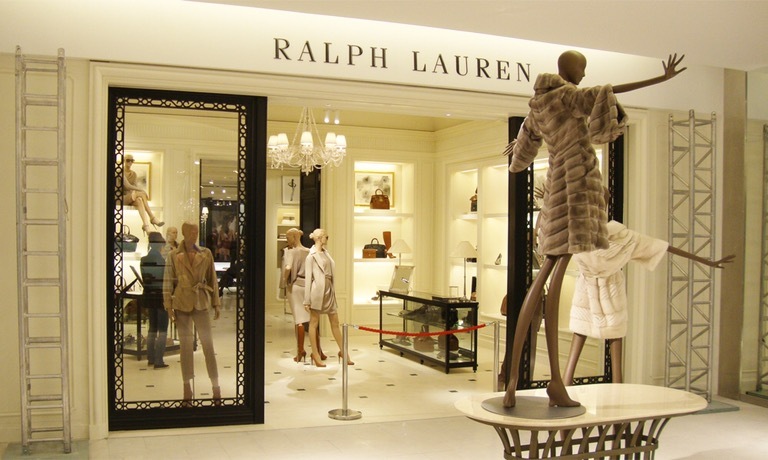 Ralph Lauren Corp. RL, -0.77% named on Thursday Jonathan Bottomley to the newly created position of chief marketing officer, effective April 3. The fashion apparel and accessories company said Bottomley, who was most recently Chief Strategy Officer at Vice Media, will lead the global marketing team and be responsible for Ralph Lauren’s brand voice. The company also named Tom Mendenhall to the newly created role of brand president, Men’s Polo, Purple Label and Double RL, effective March 29. Mendenhall was most recently chief operating officer at Tom Ford International. All men’s brand functions will report into Mendenhall, including design and merchandising. The moves follow Stefan Larsson stepping down as chief executive officer on Feb. 3 after just 15 months in the position, after Larsson and Chief Creative Officer Ralph Lauren couldn’t agree about how to evolve the creative and consumer-facing parts of the business. The stock, which tacked on 0.3% in morning trade, has tumbled 29% over the past three months, while the S&P 500 SPX, -0.30% has gained 7.7%. 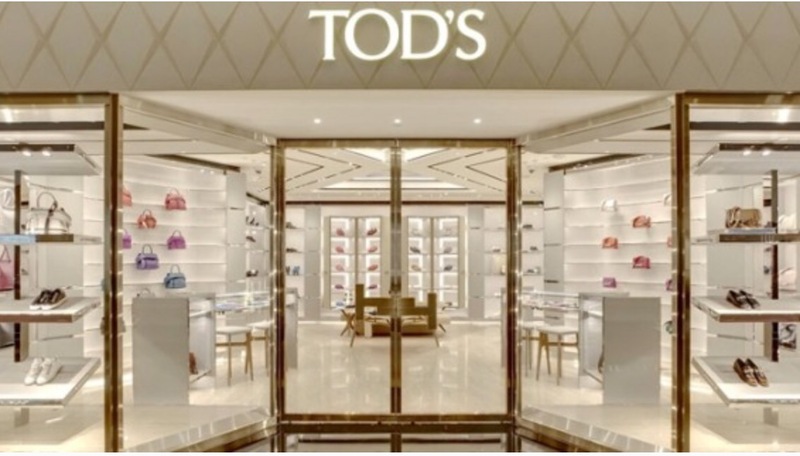 Italian luxury leather brand Tod’s opened its second store in Singapore at The Shoppes at Marina Bay Sands. 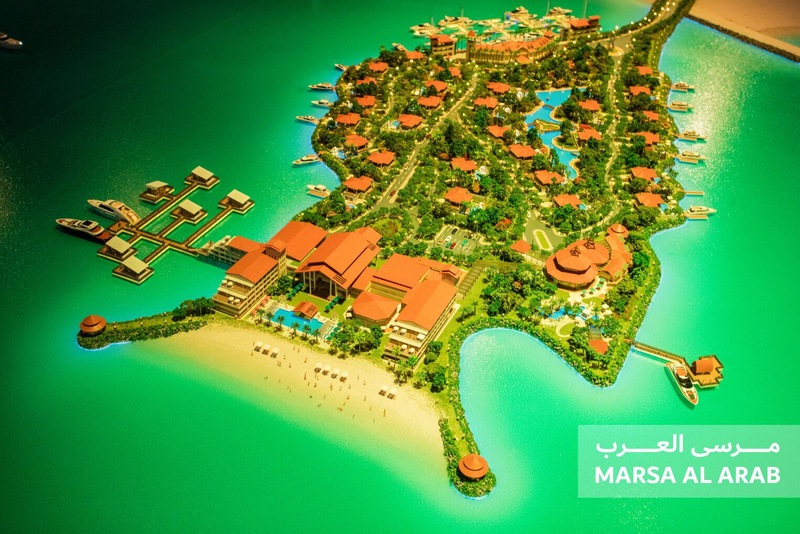 It is the first store with the new concept in Asia, preceded only by a boutique in London. To mark the opening, the store features exclusive maroon editions of the Double T bag, Double T Gomminos and a men’s messenger bag, all marked discreetly with the location tag “Marina Bay Sands Singapore”. There is also a range of accessories including alphabet charms allowing for personalisation. 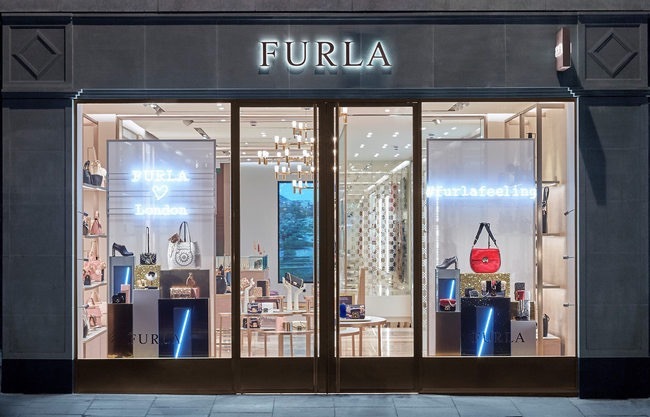 Furla has recently opened a new store in London at 71 Brompton Road. This follows the success of its standalone Regent Street store, and continues to strengthen the brand’s presence in the UK. Located in the heart of the high-end shopping district of Knightsbridge, the new store is set across two floors, occupying 280 sq m. It houses the brand’s women’s bag and leather accessory offering, with its men’s collection on the lower ground floor alongside two areas dedicated entirely to footwear. To mark the opening, Furla has launched a new custom version of its star Metropolis bag with a print featuring a London Bridge motif, which is exclusive to the store. Each bag is a limited-edition model, accompanied by an “Exclusive for Brompton Road London” tag. Furla will also offer the option to match the bag with a bright blue fur pompon, adding an extra personalised touch. House of Fraser profits dived nearly 50% in the first half of the year as the department store said it faced a “very challenging retail environment” in the light of unseasonable weather and Brexit uncertainty. Underlying profits fell 46% from £9.2m 12 months ago to £5m in the six months to the end of July – excluding interest payments, tax, write downs on the value of property, and a one-off fall in income of nearly £4m related to a new credit card agreement. Profits were hit by the increased cost of delivering goods ordered online and a decline in sales of House of Fraser’s own brands. Total sales remained steady at £573.5m as the group’s established department stores experienced a 2.5% slump. Underlying sales, including a 17.8% rise in online sales, lifted 0.9%. 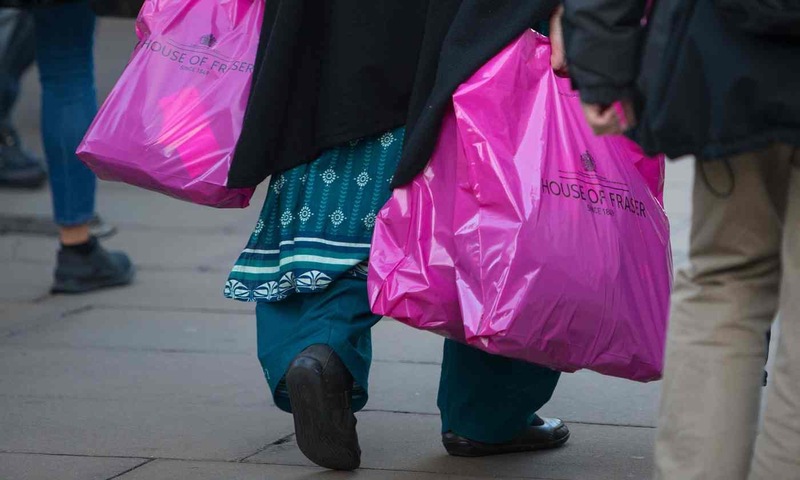 Nigel Oddy, chief executive of the group, which was bought by Chinese conglomerate Sanpower in April 2014, said House of Fraser had experienced an “extremely volatile trading environment”. The profit slump comes after fellow department stores John Lewis and Next both revealed a fall in first-half profits as they were hit by the need to discount to clear summer stock. He said that shoppers had also been affected by uncertainty around the EU referendum since January this year, and consumer confidence continued to be affected by concern about what Brexit might mean for household finances. “All of that goes into the pot and make a very volatile market and low consumer confidence,” Oddy said. House of Fraser is trying to tempt more shoppers into stores by introducing new brands and concessions. 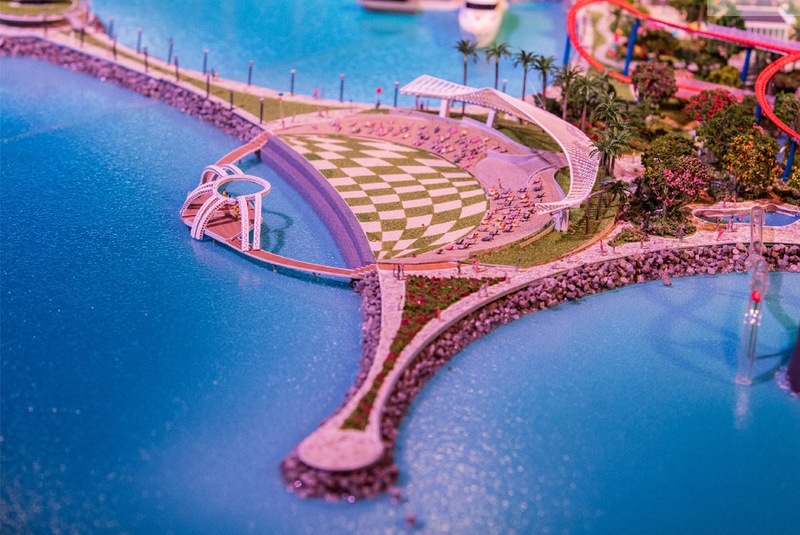 It plans to install five Hamleys toy areas by the end of November and has also brought in All Saints, Monsoon and Mulberry. The department store’s poor performance was in sharp contrast to online specialist Boohoo.com which revealed a better than expected 40% rise in sales and 129% rise in pre-tax profits in the six months to 31 August. The clothing site said it had attracted 28% more shoppers and increased the amount each shopper bought as it expanded in Europe and the US and extended its ranges in menswear, lingerie and plus-size womenswear. 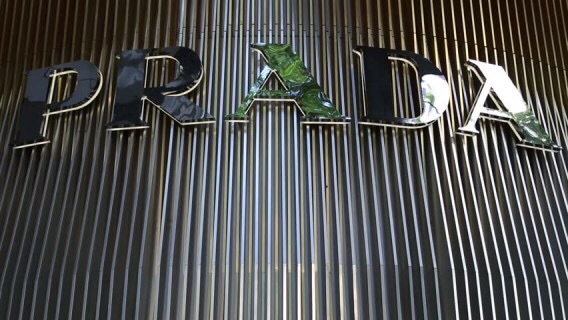 Following negative financial reports in the past year, Prada has embarked on a restructuring plan. In 2016, Prada announced it will close 25 stores (among the least profitable ones) and will open 20 new stores in high-potential locations. 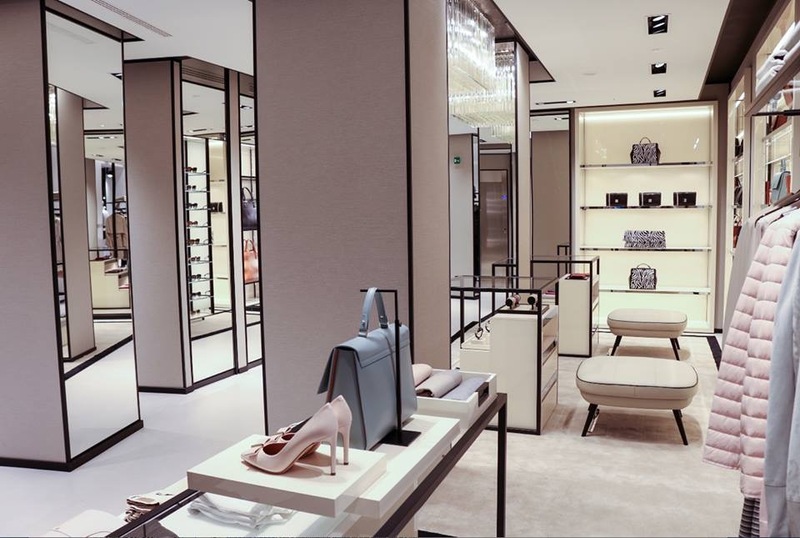 The first store closure was one of the Prada stores in Milan – the 500 sqm store on Corso Venezia. 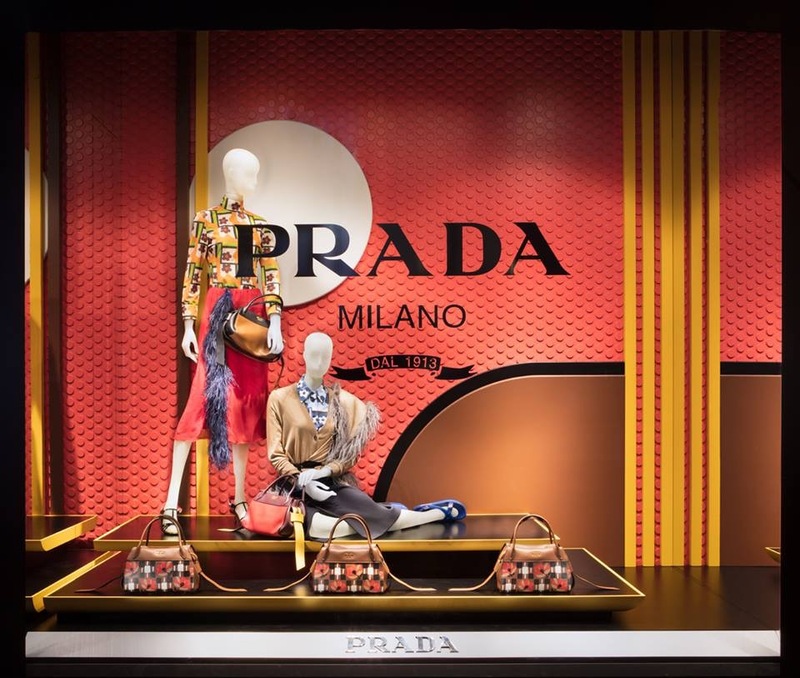 The Prada currently operates 5 stores in Milan, two in Galleria Vittorio Emanuele, two on Via Montenapoleone and one on Via Spiga. John Lewis is investing £9m in expanding its beauty halls as the market for face creams, makeup and perfumes outperforms fashion. 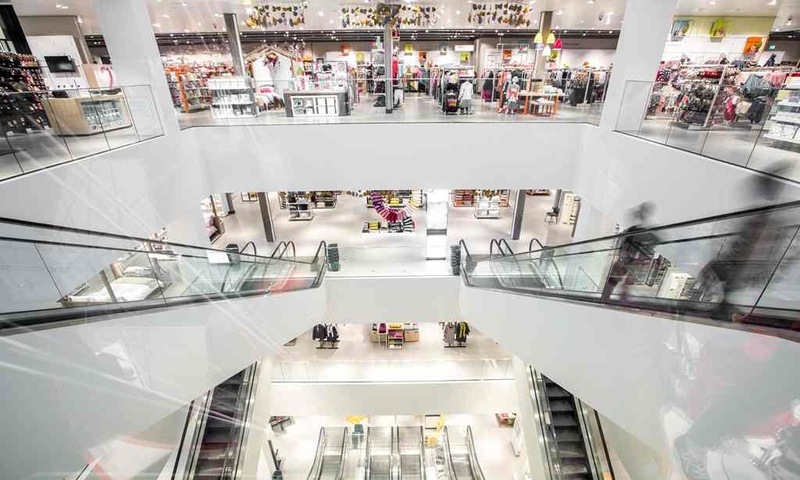 The department store is to increase the size of its beauty departments in Cambridge, Bluewater in Kent and Cribbs Causeway in Bristol by 50% and modernise four other beauty halls including at Peter Jones in London’s Sloane Square. The investment, which will bring in new up-market brands including Marc Jacobs Beauty, MAC and Tom Ford Beauty, follows the opening of the department store’s own &Beauty spa in Birmingham and the Clarins Beauty Bar, which opened at John Lewis Oxford Street last year. The move comes as retailers including Debenhams and Marks & Spencer and supermarkets such as Sainsbury’s also expand their beauty ranges to try to cash in on rising demand. Sales of colour cosmetics in the UK have risen by a third in the last five years according to Mintel while sales of soap, bath and shower products have risen 4.3%, despite it being a mature market under pressure from discounters. In contrast, fashion retailers have endured a tough few years as a warm autumn and winter in 2015 hit sales of knitwear and coats while a chilly and wet start to summer 2016 forced many chains into early discounting. Menswear brand Hackett London is set to launch a new store within London’s One New Change shopping centre in St Paul’s this 4 August. 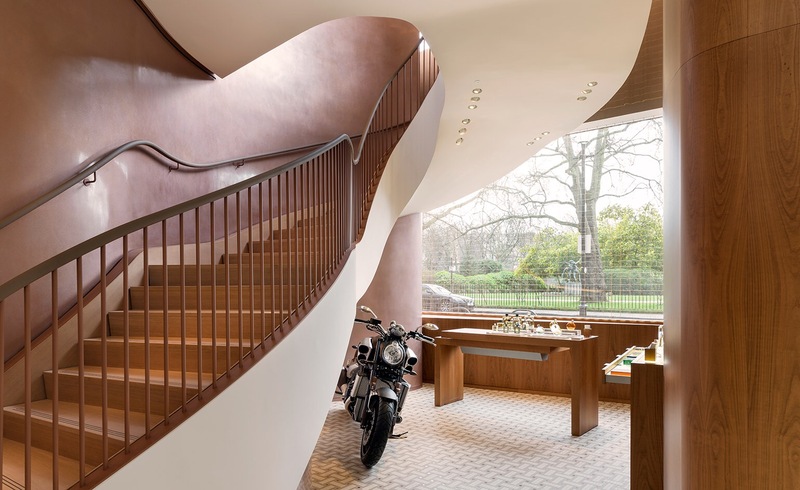 According to One New Change, the store will carry the brand’s Mayfair and formal collections, as well as a curated selection of casual wear and accessories. The store will also offer the full Hackett experience including onsite tailoring services such as bespoke, personal tailoring and made to measure. The One New Change location will add to further Hackett stores in London on Jeremyn Street, Sloane Street and Regent Street. Salvatore Ferragamo has recently opened its largest store in Canada at Square One in Mississauga, Ontario. 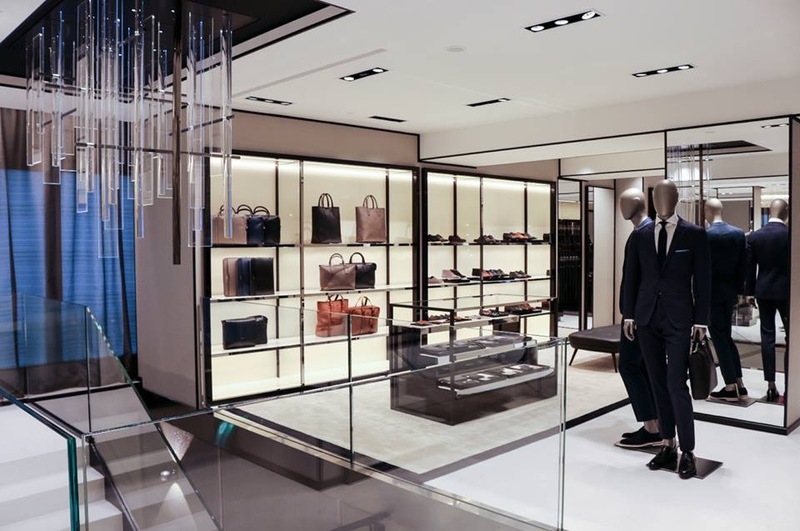 The new store which covers 4,425 square feet features bags, accessories and footwear for men and women, as well as ready-to-wear collections for both men and women. 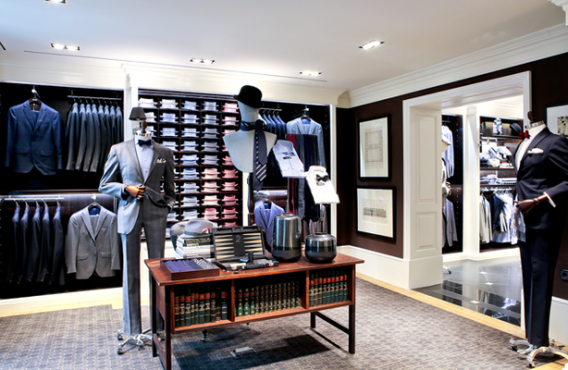 The store is divided into a series of rooms, providing a luxurious and intimate in-store experience. 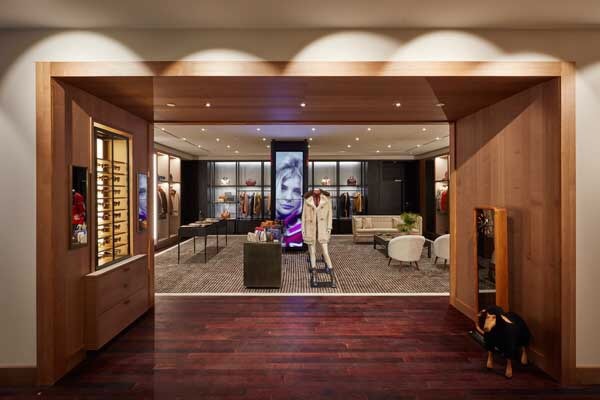 Prada has recently opened a new store on the Gold Coast in Australia at Pacific Fair. The store covers 310 square metre and features apparel, leather goods, accessories and footwear for men and women. The store comprises a succession of rooms, each featuring a different atmosphere. Max Mara Group has added to its portfolio by launching two new brands with a contemporary, accessible positioning: Tresophie and AIIM will be available with the Spring 2017 season and will be initially distributed via physical and online multi-brand stores, then via their own e-stores from the end of 2017. Through Tresophie, the Italian group intends to carve out a niche in the sophisticated, contemporary dress segment. The collection will consist chiefly of dresses of different cuts and styles, catering to all the requirements of contemporary women: from gowns to evening dresses to those for important appointments. Besides dresses, the label will also feature tops, skirts, jumpsuits and ten or so jackets and boleros, all with special occasions in mind. Distribution-wise, the 52-item collection will be available at the end of January 2017 in physical and online multi-brand stores in Italy, France, the UK and Russia. The average price of Tresophie clothes will be €280. From the end of 2017, the brand will operate its own e-shop. AIIM is the acronym of ‘Art is inside me’. The brand will focus on knitwear, offering a complete range of cardigans, sweaters, dresses, trousers and skirts. The collection will initially consist of about fifty items inspired by the work of Art Nouveau artist Alfons Mucha. 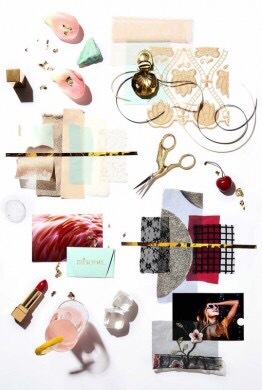 Specifically, it will feature 3D-effect jacquard fabrics, items blending knitwear and lace jersey, as well as dresses in plumetis tulle jersey and pointillist-style jackets. The Max Mara group indicated that art will be the creative starting point for this collection, in order to create a fascinating, unique mood. AIIM will be available at the end of January 2017 in France, Spain, the UK, Italy and Russia, distributed via physical and online multi-brand stores. It will be positioned in the contemporary fashion segment, with an average retail price of €160. 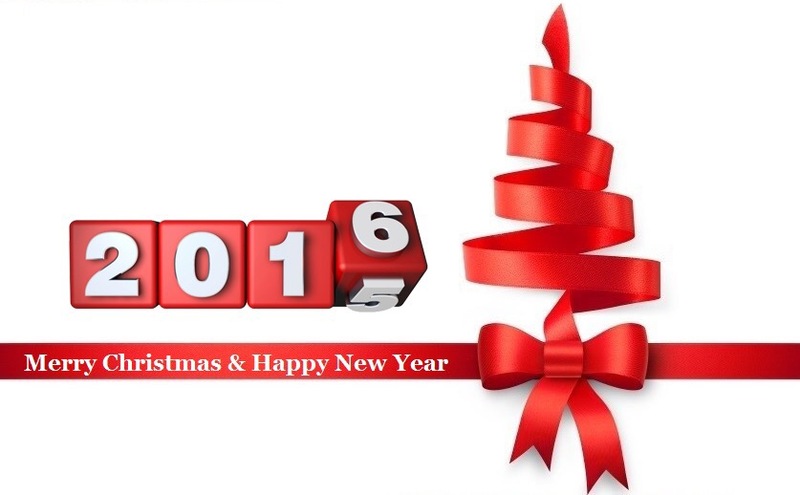 At the end of 2017, also AIIM will operate its own e-shop. The Max Mara group already owns several brands, including Max Mara, Max Mara Weekend, Marina Rinaldi, Marella and Pennyblack. 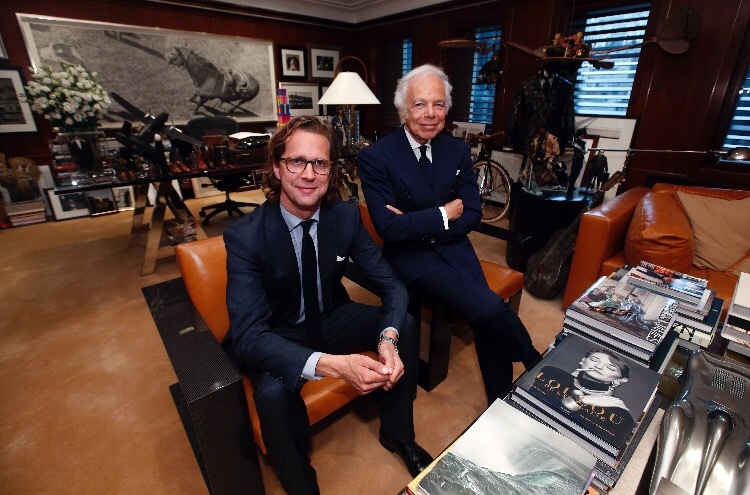 Is Ralph Lauren moving away from luxury? Ralph Lauren has always been associated with luxury and privilege and it’s polo player logo has been synonymous with dressing elites around the world. Since the American-based fashion giant announced earlier this month it was to close a significant amount of stores and let go of 1,000 employees there have been plenty of questions as to the brand’s new strategy and direction. 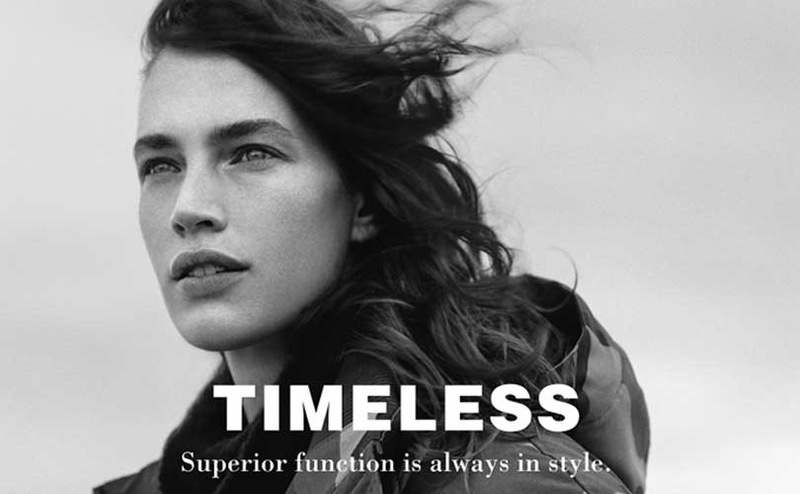 Bottom line sales, specifically a drop in profits, have led Ralph Lauren to restructure its portfolio of labels and bring the company back on course. According to MediaRadar, a multi media sales intelligence tracker, the answer as to the company’s direction can be found in the initiatives of its CEO, Stefan Larsson. First there is a significant move away from luxury. While total marketing investment level didn’t change over one year, there has been a decided move away from supporting their luxury lines. 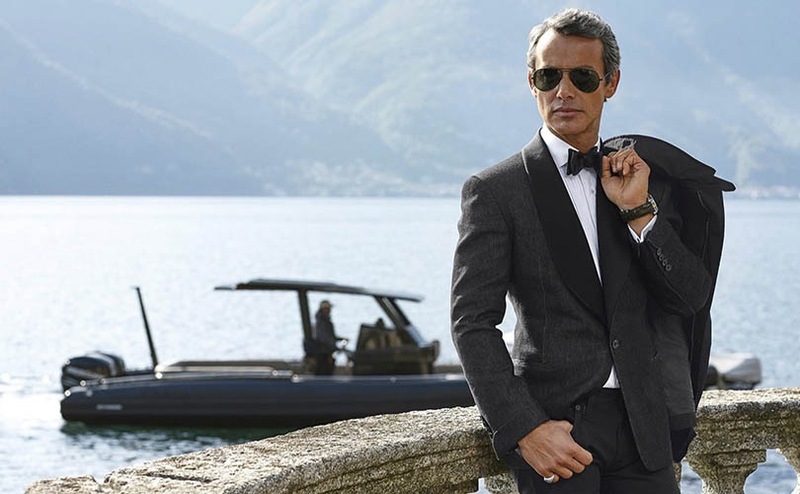 In the first five months of 2015, fully 55 percent of marketing was for Purple Label and Ralph Lauren Collection, the company’s most expensive, most luxurious lines. Just one year later however, that allocation has been slashed to 26 percent. Instead, the lower-priced Polo and eponymous Ralph Lauren lines are the focus. Together they now represent 64 percent of all ads. The second indication of new strategy is tightening product categories. 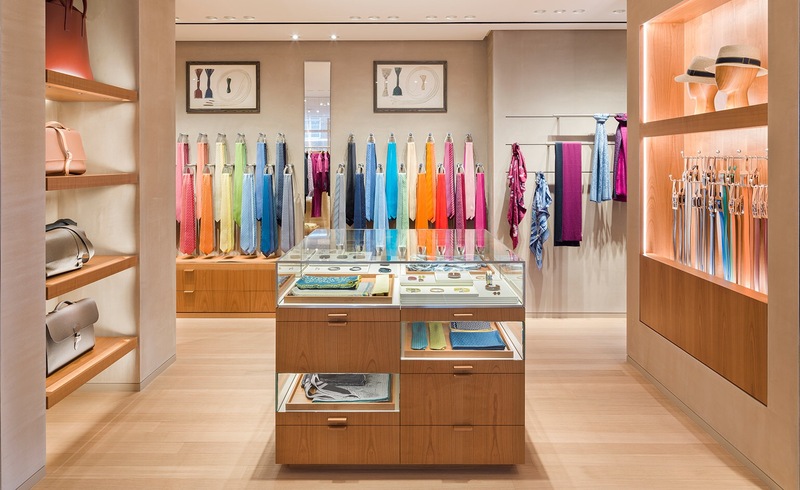 In the five months from January to May, 2015, Ralph Lauren marketed 29 specific product lines. One year later this list was nearly halved to 14. The brands continuing with the most emphasis are Ralph Lauren, Polo, Lauren, and Denim & Supply. Smaller lines like Chaps and RLX didn’t get marketing support at all. 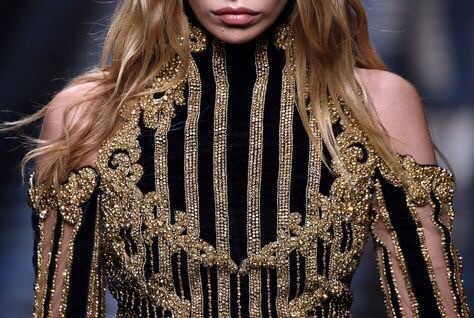 This data shows a key pivot from the company as the epitome of luxury designer wear to a focus on affordable fashion. For Larsson, this is a turnkey positioning solution, since he helped revitalize H&M and Old Navy to the powerhouse brands they are today. Cosmetics maker Revlon Inc (REV.N) has agreed to buy Elizabeth Arden Inc (RDEN.O) in an $870 million deal to strengthen its skincare and fragrance business and expand in high-growth markets including the Asia-Pacific region. Elizabeth Arden’s shares rose nearly 50 percent to $13.96 in extended trading on Thursday, close to the cash offer price of $14 per share. Shares of Revlon, controlled by billionaire Ron Perelman, rose slightly to $31.30. The deal, which comes less than six months after Perelman said he would seek strategic alternatives for Revlon, will help the companies better compete with deep-pocketed rivals such Estee Lauder Cos Inc (EL.N) and L’Oreal SA (OREP.PA). The equity value of the deal is $419 million, based on Elizabeth Arden’s outstanding shares as of May 3. Elizabeth Arden has a strong presence in the luxury skincare market, mainly in the anti-aging category, with brands such as Prevage, Ceramide and SuperStart. Its fragrances include those licensed from celebrities such as Britney Spears, Justin Bieber and Taylor Swift. Revlon is stronger in hair color and color cosmetics, which are mainly distributed through mass retail channels and beauty salons across 130 countries. “The combination will leverage Revlon’s scale across major vendors and manufacturing partners, improving distribution and procurement,” the companies said, adding that they expected cost synergies of about $140 million from the deal. Elizabeth Arden has reported lower-than-expected revenue in six of the past eight quarters as it loses customers to rivals with more exclusive offerings. BofA Merrill Lynch and Citigroup Global Markets Inc have committed about $2.6 billion to fund the deal and refinance the debt of the two cosmetic makers. Revlon also said it expected 2016 net sales of $2.0 billion-$2.1 billion on a constant-currency basis, excluding the impact of the acquisition. This implies a “high single-digit growth rate” in net sales, the company said. Revlon also forecast adjusted earnings before interest, tax, depreciation and amortization of $400 million-$420 million for the year. 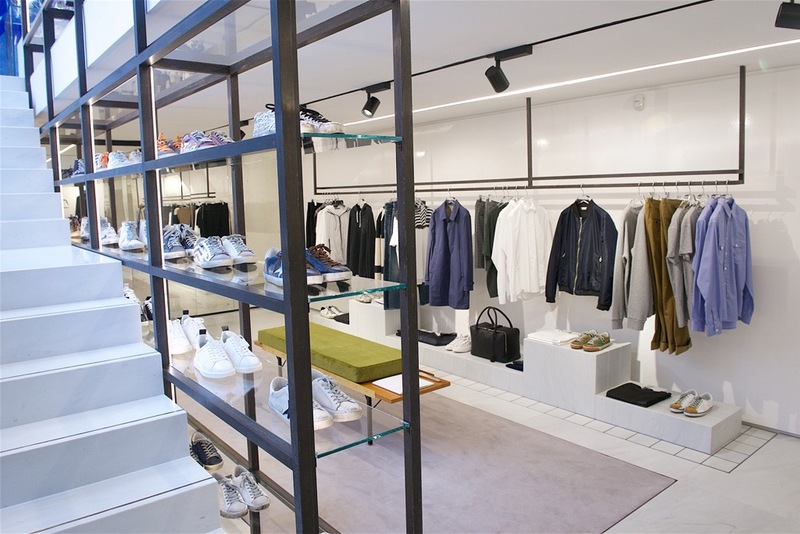 Italian luxury brand Golden Goose has opened its first store in the U.K., located on Dover Street in London’s Mayfair.Spanning two floors, the 950-sq.-ft. space stocks the brand’s women’s and children’s collections, as well as the men’s wear range, Haus by Golden Goose. 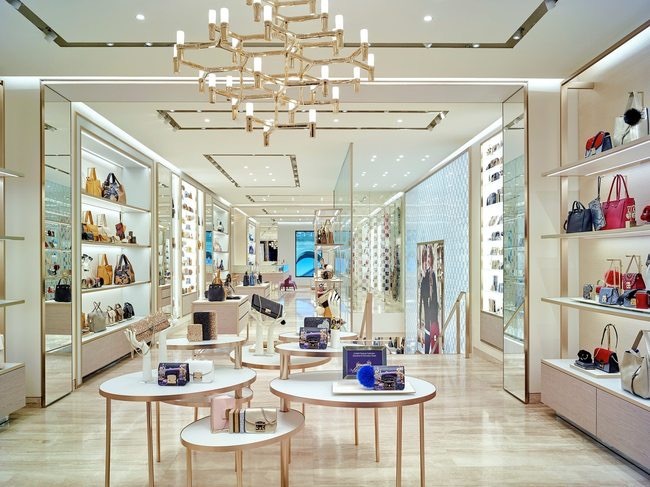 CHANEL has opened a large ground-level boutique inside of Vancouver’s Holt Renfrew at CF Pacific Centre, replacing a previous location on the women’s upper-level designer floor. 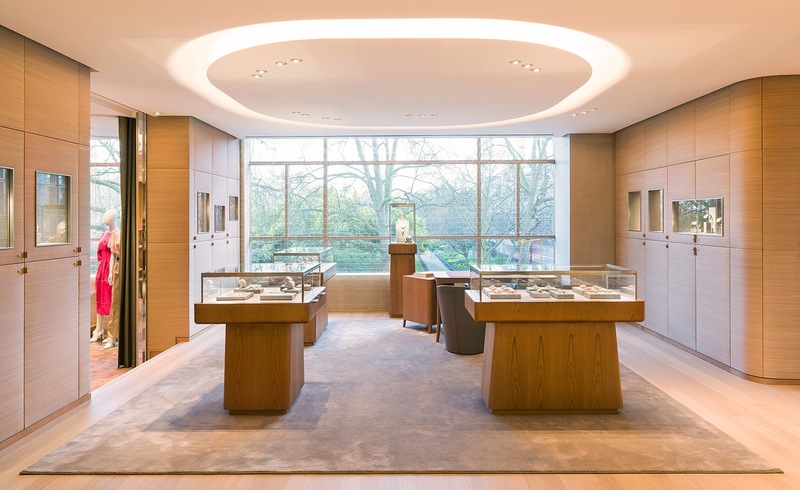 Although a shop-in-shop, Vancouver’s new Chanel concession is now Canada’s second-largest location, featuring the country’s first Chanel fine jewellery and watch boutique. The boutique also features ready-to-wear, handbags, shoes, accessories eyewear. The new Chanel concession measures about 5,060 square feet, and includes a separate 750 square foot area dedicated to fine jewellery and timepieces. During the renovation of its store on P.C. 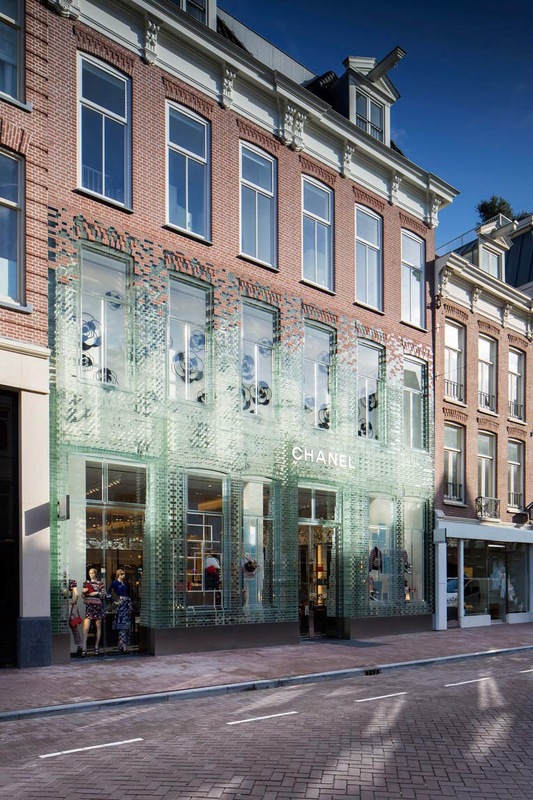 Hooftstraat, CHANEL has opened a temporary store on the same road. The building, called crystal houses, is conceptualized by acclaimed Dutch architecture practice Mvrdv. 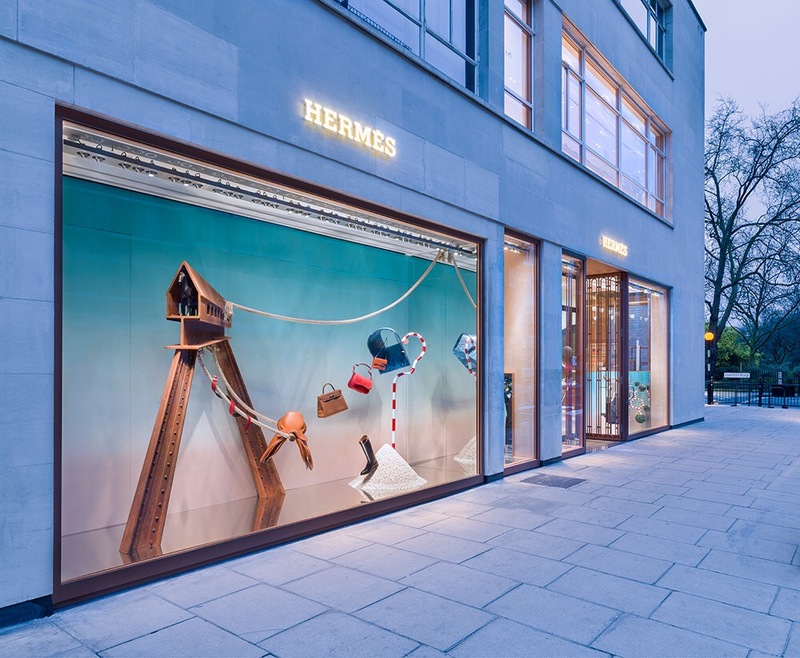 The project not only represents a mean architectural feat, but also marks the arrival of the purpose-built luxury flagship store – a longtime phenomenon elsewhere – in the Dutch capital. 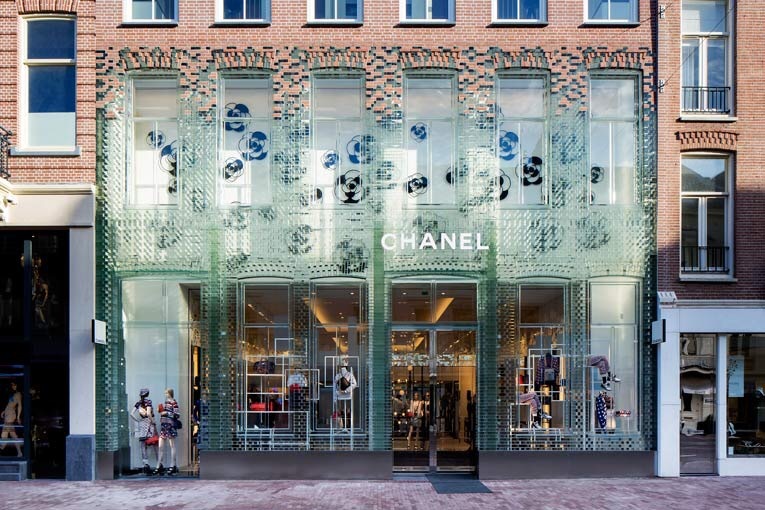 The new CHANEL boutique which features a glass facade occupies the lower floors of the building measuring a spacious 620 sqm., while the top floor remains residential. China Retail News reports that French luxury house Louis Vuitton has officially confirmed that the company will close two stores located in Shanghai and Shanxi, respectively, by the end of March 2016. 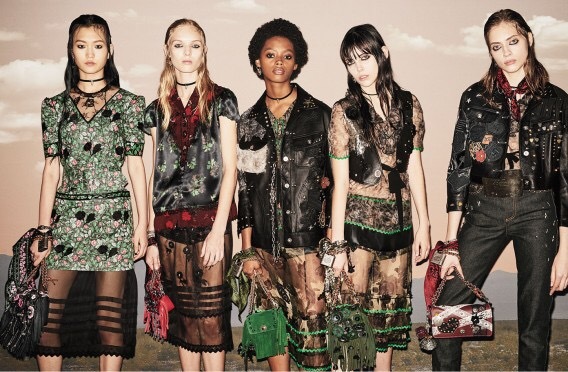 A representative of Louis Vuitton China said that the two stores will no longer operate from April 2016. However, Louis Vuitton has emphasized that the store closure does not mean they will stop their Chinese development strategy and they will continue to invest and expand there this year. This wouldn’t be a first for Louis Vuitton in China though. According to a report on China’s luxury market in 2015 published by global management consulting company Bain, they closed six stores and opened two new stores in China last year. LVMH has stated in its financial report for the third quarter that due to the continued weakness of Chinese mainland, Hong Kong, and Macau markets, its Asia Pacific, excluding Japan, market share continued to shrink. 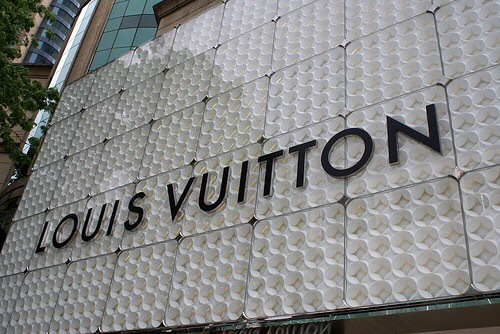 Last year media outlets reported that Louis Vuitton were set to close stores in the cities of Guangzhou, Harbin and Urumqi, which will leave the brand with about 50 stores in China. 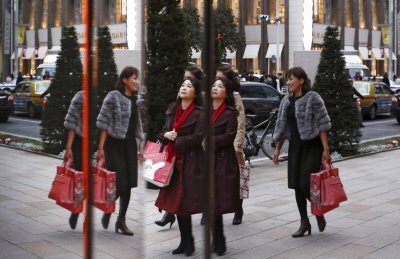 So will we see more stores in China close than what has been reported? Only time will tell. 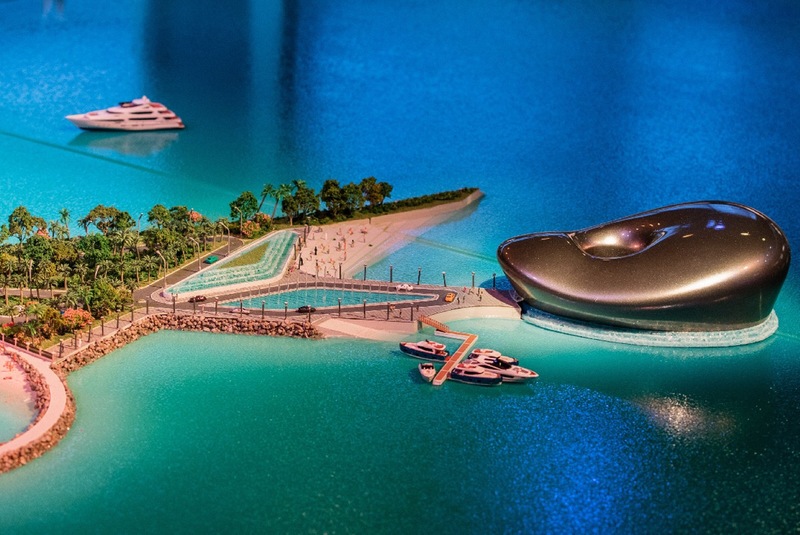 Louis Vuitton isn’t the only luxury house to have been hit by China’s slowing economy. 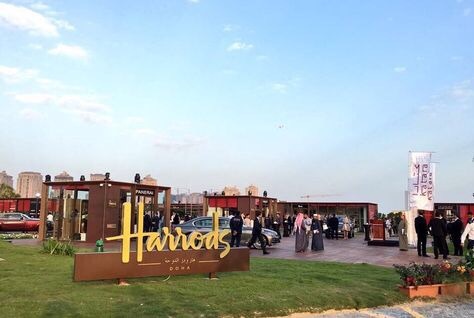 Giorgio Armani, Hermès and Versace are among those to have closed stores in the country over the past couple of years. 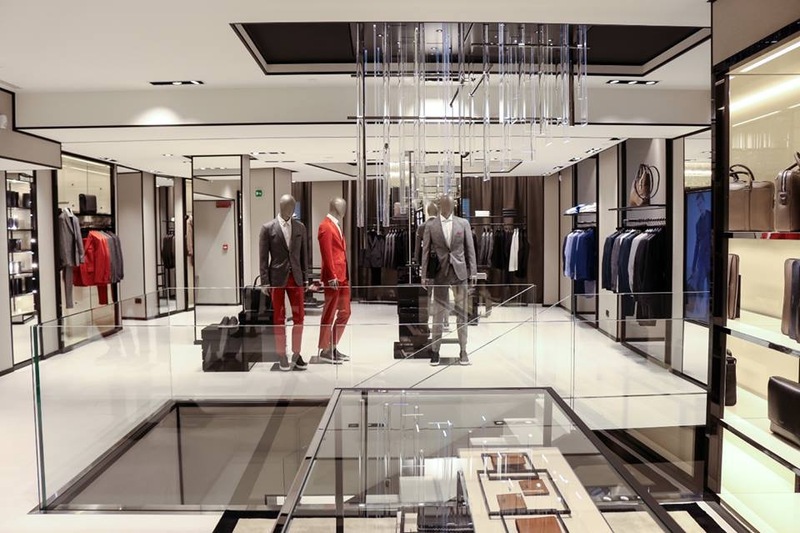 Hugo Boss opens a new store in Florence, Italy. The store is located at 70-72 via Por Santa Maria, steps from Piazza Signoria. 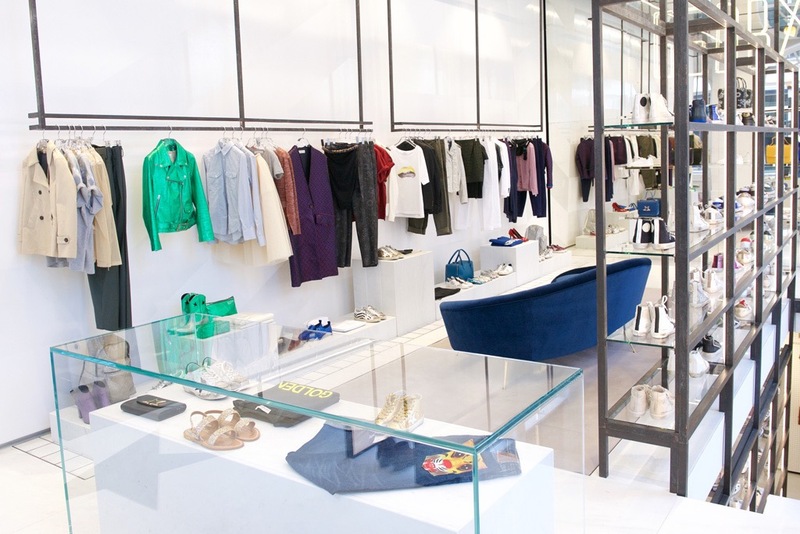 The new store covers a surface of 500 sqm over three floors. 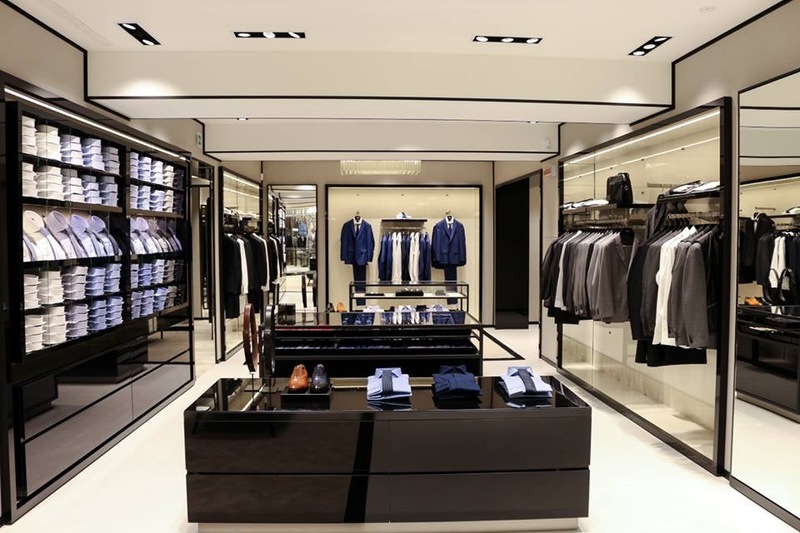 The groundfloor is dedicated to Boss Woman while the first and second floors and dedicated to menswear and accessories (Boss Sportswear, Boss Clothing). 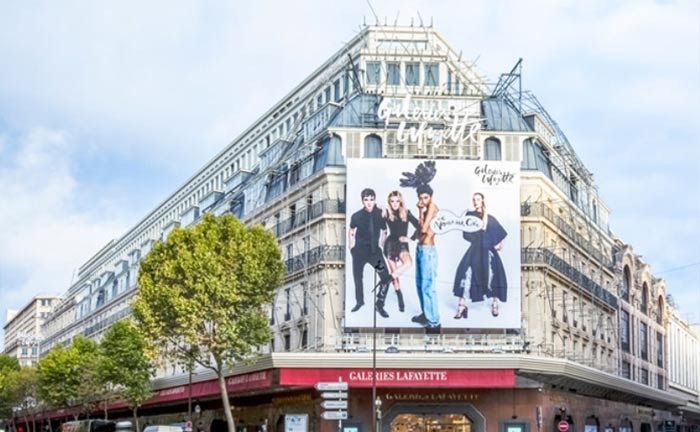 Parisian department store Galeries Lafayette has announced that it will be working with British architecture studio AL_A to transform the ‘Cupola’ building of its flagship located on Boulevard Haussmann in Paris. 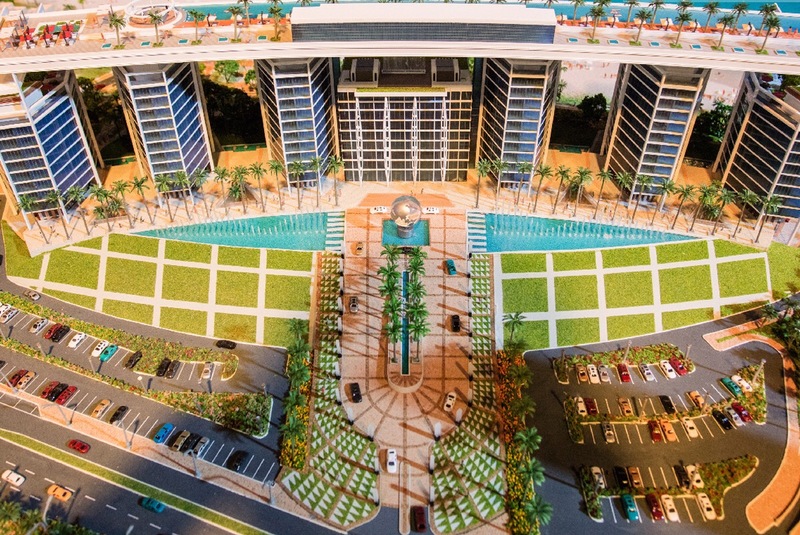 The redevelopment is part of the company’s strategy to build the ‘department store of the 21st century,’ with the aim of offering consumers a new shopping experience, and the remodelling of the 430,500 square foot store will start in early 2017. AL_A, founded by Amanda Levete, has recently worked on projects for the Victoria and Albert Museum, as well as the Selfridges store in Birmingham, were chosen for its “bold proposal and intuitive conceptual approach” that will “create a visionary metamorphosis of the department store’s main building, relying on tradition and modernity,” a press statement from Galeries Lafayette said. Amanda Levete, director of AL_A, added: “This store is an institution that has a special place in the life and identity of the city of Paris. Our commission is a fantastic opportunity to build on tradition to make a living contribution to the future of Galeries Lafayette and the cultural life of Paris. Finery, the online fashion retailer of womenswear, shoes and accessories, has decided to have an offline presence. It is set to open physical outlets in six flagship stores of John Lewis. The move follows the company clocking £5m (€6.5m, $7.3m) in its first year of sales. He added that the company had beaten expectations by attracting 10,000 customers since its launch 12 months ago. Raithatha said while there are no current plans for a standalone store, it is working on opening more of these concession stores, which are essentially miniature stores operated by the brand and located within a larger store, to enable reaching out to more customers. The move also reflects the latest trend of online retailers having a physical presence. Examples of other such internet-based retailers include furniture companies. In 2015, Loaf and Made.com set up high street stores and more recently online giant Amazon launched its physical bookstores across the US. Finery was set up in 2015 by Caren Downie, Raithatha and Luca Marini. While Downie is a former fashion director at Topshop, Raithatha and Marini are both from Harvard University with work experience at Rocket Internet, the German company that builds online startups and owns stake in various models of internet retail businesses. The London headquartered company is backed by Global Fashion Group that is dedicated to bringing fashion online to emerging markets and has shareholders including Kinnevik, the Swedish investment firm, and Rocket Internet. Finery designs all of its offerings in-house and prices its collection of the 150 to 200 items that it produces between £40 and £250. Raithatha said: “We realised there was a gap in the market for women who wanted quality designed clothes between the high street and designer.” Downie, who is considered to be amongst the most influential women in British fashion, said the inspiration to start Finery came with the desire to provide both quality and design at accessible price points, according to The Telegraph. Selfridges experienced the most profitable hour in its history as shoppers turned out in their thousands for post-Christmas deals. Crowds appeared outside Selfridges stores across Britain, in some cases as early as 1am, to take advantage of Boxing Day sales. The dense crowds were a welcome reappearance as recent sales events have seen high street retailers losing customers to online stores. The result was an intake of just over £2m by 10am from tills alone, a 2% rise on Selfridges’ previous record for its most profitable hour. “It is encouraging to see High Streets performing significantly better than Boxing Day last year,” said Diane Wehrle, Insights Director at Springboard. She called the sales “surprisingly positive” as the influx of foreign shoppers and mild weather helped to boost profits. 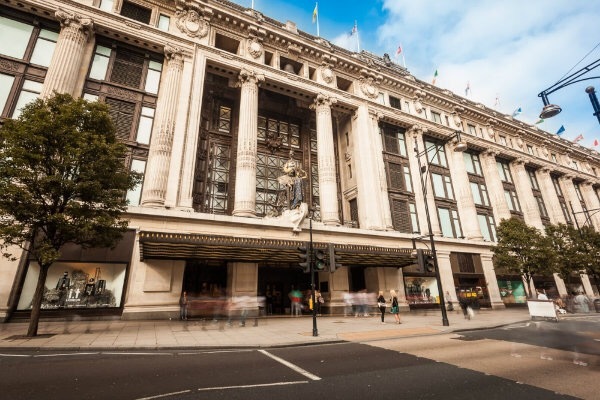 It would seem that Selfridges means to end the year on as high a note as it started: in November the chain revealed results marking the 12 months to the end of January 2015 as its most profitable financial year of all time, with operating profits rising by 4% to £155m. The store has credited its success to its growing online presence as well as its continuing focus on luxury fashion brands. Selfridges currently trades from four stores in the UK. 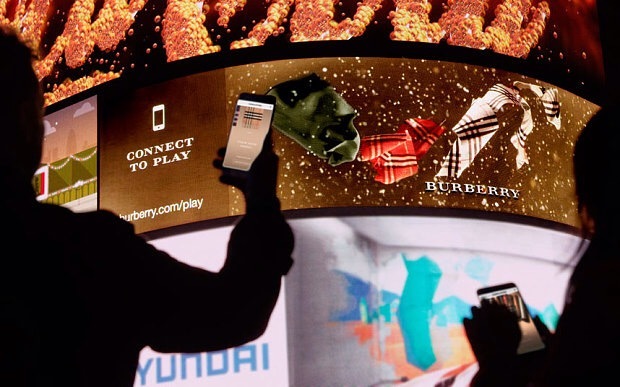 Recently it has invested over £300m on overhauling its flagship store on Oxford Street, London. 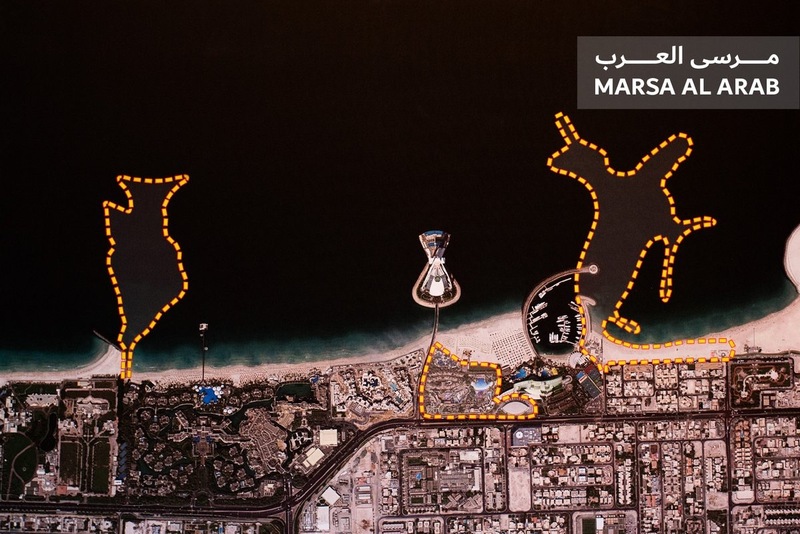 “Giving users the ability to control their movement in various ways makes the experience much more personal when viewed on a screen whether at home or on a digital billboard.